The Light Sniper System chassis by MDT has been revamped featuring a new design packed with upgrades. The second generation 1.4-pound LSS GEN2 chassis features a modular aluminum design with a variety of improvements created to keep shooters happy. The LSS Gen2 sports an ambidextrous magazine release, M-LOK pattern attachment slots on the sides and bottom of the forend in addition to barricade-stop grooves. The barricade-stop grooves are seated ahead of the mag-well. The LSS GEN2 finishes off its features with a side-relieved mag well. Like MDT’s other builds, the second generation chassis is equipped with a V-shaped bedding surface. The company says this design grants shooters the ability to drop their rifle into the LSS GEN2 without required any additional bedding. The LSS GEN2 works alongside AICS magazines in addition to AR-style pistol grips and buttstocks. The LSS Gen2 prices range between $399 and $449 depending on the action. 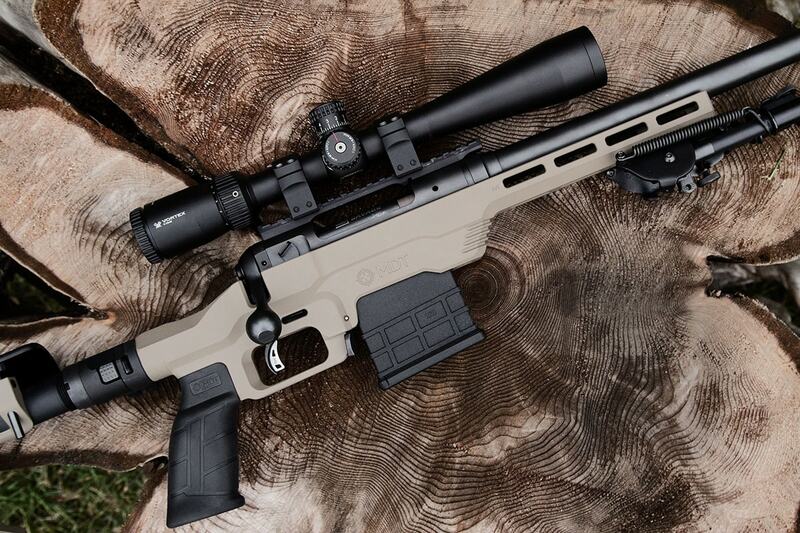 The post MDT relaunches Gen2 Light Sniper System chassis appeared first on Guns.com.